Reminder: the Candian province of Ontario now consists four RAC sections: Ontario North (ONN), Ontario South (ONS), Ontario East (ONE) and the Greater Toronto Area (GTA). Make sure your contest logging software and “country” (CTY) files have been updated so that those abbreviations are recognized and credited properly. View a map of the VE3 sections. Logs are due FIFTEEN days after the event is over. Paper logs are still accepted, but electronic Cabrillo logs are preferred. 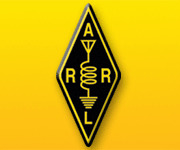 Contest clubs are encouraged to help their club members submit their log electronically.